The hills have been successful in holding up the century-old traditions and cultures that have prospered the lives of the people in Incredible India. India is dotted with the awe-inspiring hills all over the country starting right up from Jammu and Kashmir to Tamil Nadu, encapsulating over 20 mountain ranges. Here's a list of famous hill stations of India. 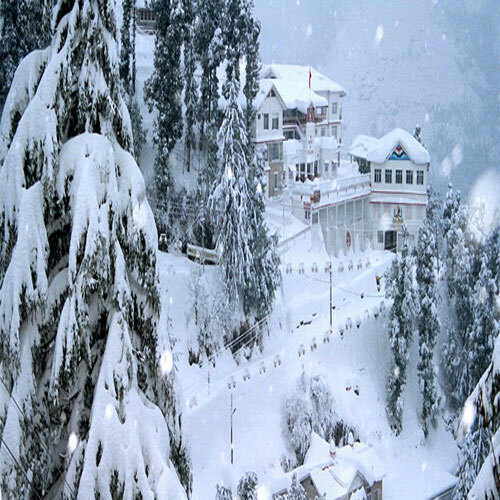 Shimla, formerly known as Simla, is the capital city of Himachal Pradesh, located in northern India. Located in the Western Ghats at a height of 7,500ft. Ooty is known for its extraordinary scenic beauty and salubrious climate amidst the "Nilgiri's" or "Blue Mountains". Ooty is the most popular hill station in the South.